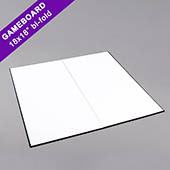 Prototyping your custom board game or table top game is now easier and more convenient. After spending hours planning and mapping out your game, you can now test the mechanics of your game and put it into action. 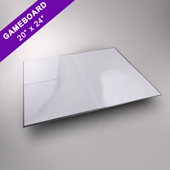 The game board is one of the most important pieces to a table top game or board game, therefore it is important to get the game board looking right and functioning correctly during the game. 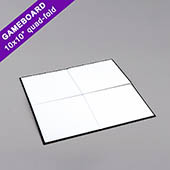 Our blank game boards are available in a selection of sizes, ranging from 10”x10” up to 19”x29”, in a square or rectangle shape and with a choice of bi-fold or quad-fold options. We have two material options to choose from, the high quality Standard option, which features a 1.8mm chipboard wrapped with 128gsm embossed texture art paper or for a high-end feel, the Premium option which features a 1.9mm ESKA blue color wrapped with 1265gsm, 100% recovered paper, imported from USA. 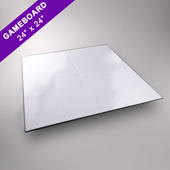 Although the game boards are blank, they are still the same high quality game boards that we custom print with, just that they come in blank form so they are perfect for prototyping. 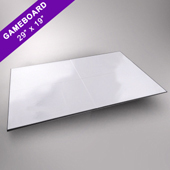 This way you can sketch out your designs and test the mechanics of your custom board game idea. 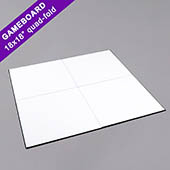 We have no minimum, so if you need just one game board to prototype with, or if you need a bulk order, we are able to do both.